October 21, 2013 The Gift of My Community & Family! Each season I decorate my door where people enter my home-place. Yesterday I took some time to walk on the farm and see what I could find for my door bouquet. This has elder branches, desert sage (a favorite of both Chris and myself), southernwood, fern bush, and a branch of red-leaf rose full of rosehips. 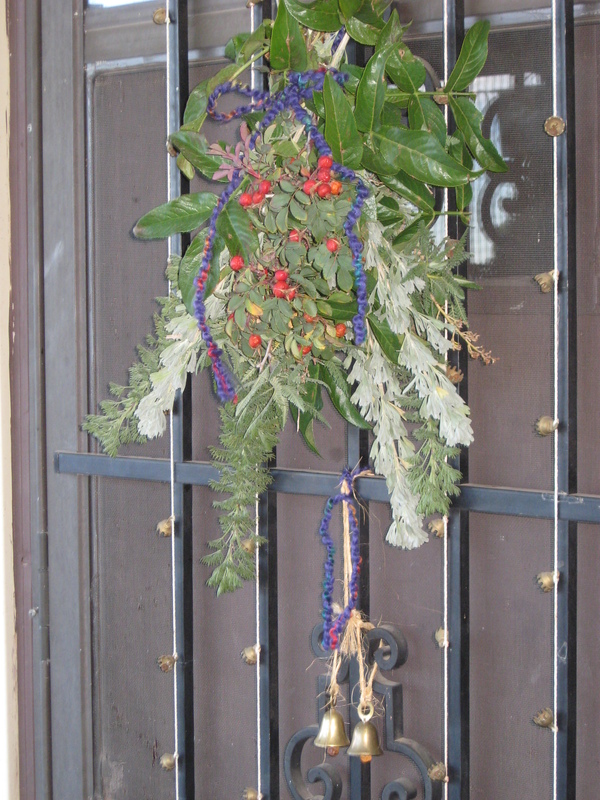 I tied it all up with a glorious piece of purple yarn and hung it above the fairy bells on the door. It is so fragrant that when you step over the threshold you can’t help notice the delightful smell. This will stay on my door until the winter solstice and I will enjoy it every time I pass through the door. Hopefully, everyone else will enjoy it just as much as I do. There is something so very special about community, whether it’s your personal intimate community of friends, neighbors, people who you work with, or family, OR whether it is your general community at large in the place that you live or work, but don’t necessarily know them personally. Chris and I are blessed by the most amazing community around us that includes all of these people in both groups. 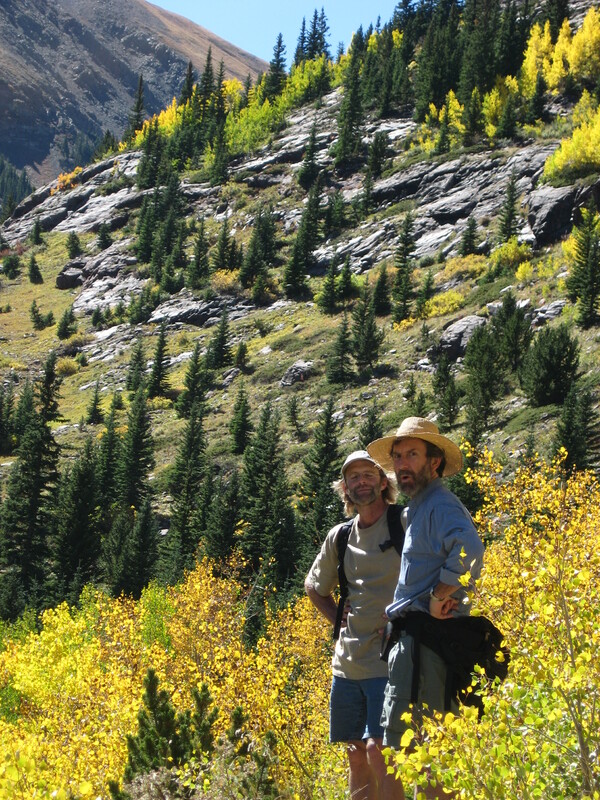 Your community is there when you want to share time and stories. They are there when you need a helping hand or loving support. Sometimes they are folks you know, but it’s just as likely that they might be someone in line behind you at the grocery market who heard through the grapevine that you are having a challenging time in life, and they just take a moment to tell you their thinking about you wrapped with a smile. Our community reaches far and wide. It includes people that we see often and love dearly. It includes those that we rarely ever see, but keep in touch with by email or sending a card in the snail mail, and love equally much. I have discovered a very important thing of late. I have a very big community and I appreciate each and every single person that is part of it! They make us smile and giggle, they have lent us huge amounts of helping hands when we need it. They give us strength when times are rough-going. Community doesn’t jump ship either, they just re-enforce the rigging if that’s what needs done. And when things are smooth sailing, they are there all the same to share the good times and smiles! A very special part of my community is my family, which is huge, and which I give thanks for each and every day of my life!! It includes these two incredible women, M’lissa and Lizz. 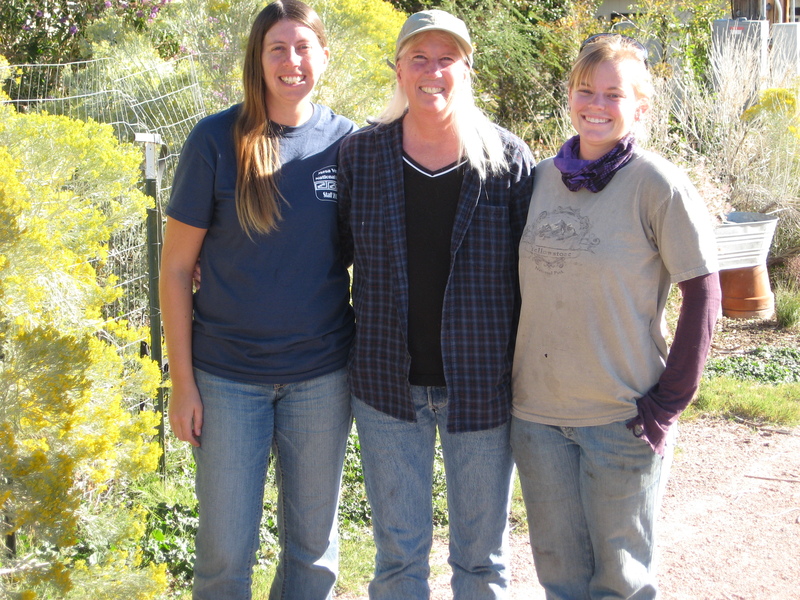 This morning they were gracious enough to take a photo with me and laugh a bit as the sun got in our eyes. What a perfect autumn day this has been. I want all of my community, near and far, related and unrelated, whether I know you or just know of you…I want you to know how special you are to us. Chris and I love you each one deeply, Just so you know!! With the holidays just beginning to show themselves around the corner, I thought this might be a good time to remind everyone how much folks enjoy receiving a good “read” as a gift. So, with that in mind, I’d like to respectfully ask you to consider giving a copy of one of my three books as a gift this holiday season to someone that is special in your life. All these books can be ordered directly from me, as per the ordering instructions below. Once I have your order I will ship off a signed copy to you, so that you can gift it to someone special. 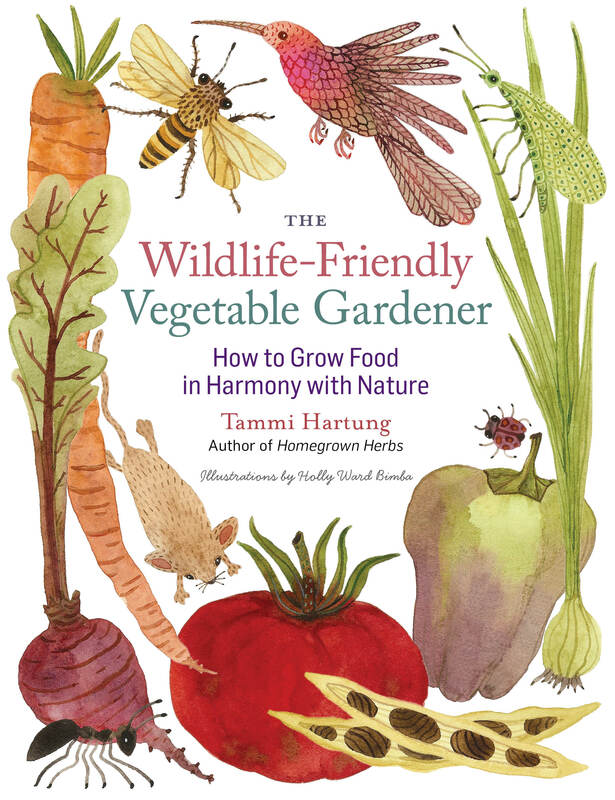 Please note that my newest book, The Wildlife-Friendly Vegetable Gardener, is available only as a pre-order item at this time since it will not be available from the publisher until mid-December 2013. 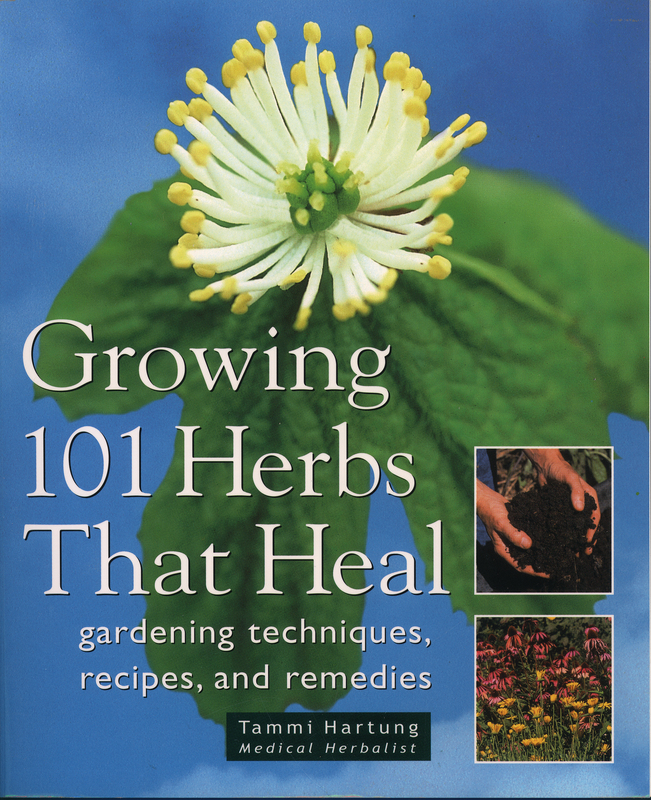 Growing 101 Herbs That Heal was my first book published in 2000. 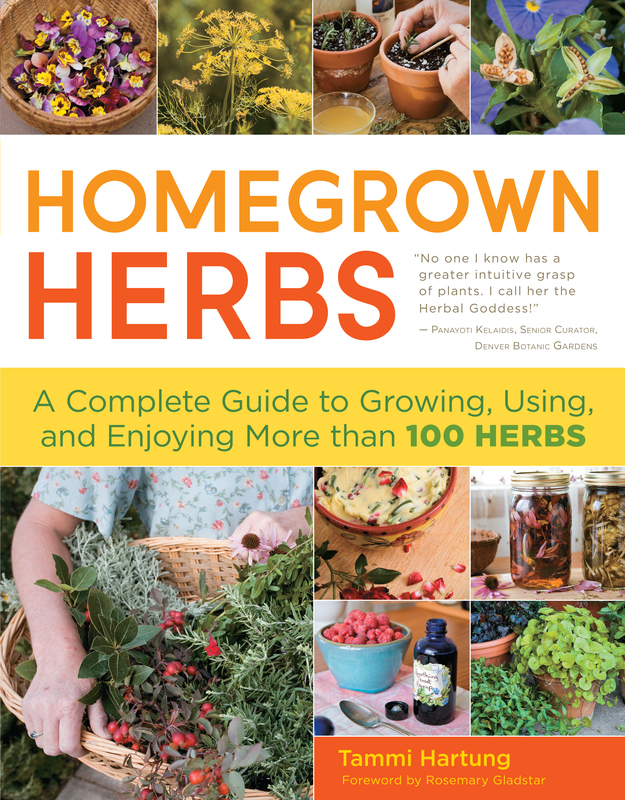 It is now out of print, sadly, but it is still such a useful book for those who want to focus on growing and using herbs medicinally. I have 20 copies still in-house that are available for sale. I believe these are all the new copies left in the world at large, unless you happen to find a copy through a used bookstore. If you would like to order a signed copy of Growing 101 Herbs That Heal directly from me, while they last, please follow the ordering instructions below in this post. If you would like to order a signed copy of Homegrown Herbs directly from me, please follow the ordering instructions below in this post. I’m very pleased to announce my upcoming new book, due to be available by December 15, 2013. The Wildlife-Friendly Vegetable Gardener is a delightful book that will inspire any food and herb gardener to plant and grow their produce and herbs more in harmony with the natural world. I think you will find this book useful, fun and filled with good gardening insights. The illustrations are whimsical and fun. Holly made the book very magical in that respect! It feels almost like your reading a story book, only better because it is filled with so much useful information. If you would like to pre-order a signed copy of The Wildlife-Friendly Vegetable Gardener directly from me, please follow the ordering instructions below in this post. Please note that when you order this book, I will send your copy to you just as soon as they arrive in my hands from the publisher. However, this book will be a pre-order item, so you will not receive your book immediately upon ordering it from me. If you would like to wait to order this book from me until they have arrived in my house from the publisher, keep your eyes open for an announcement on my blog that they have arrived and are actually available to ship. To order any of these three books directly from me, please send me your compete name and postal address. Be sure to include your phone number in case I have any questions that I need to contact you about. 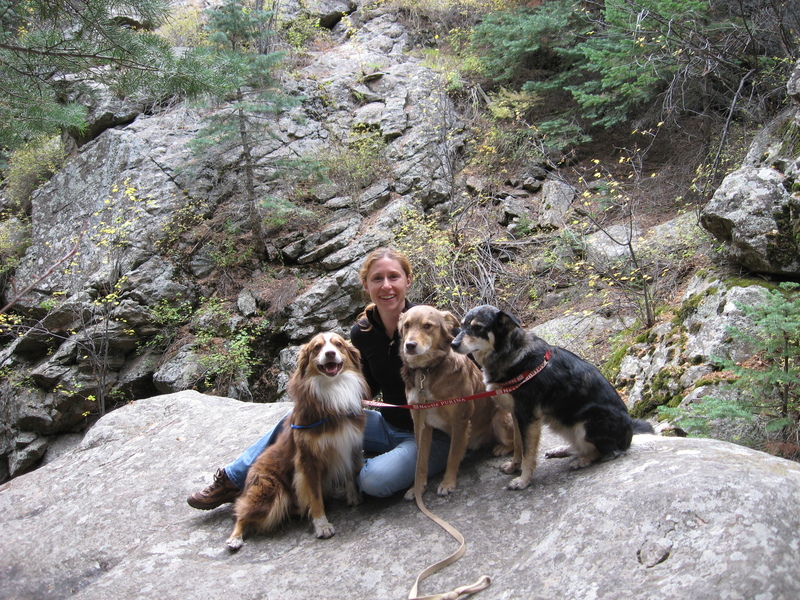 Send your order to Tammi Hartung, 1270 Field Ave., Canon City, CO 81212. Make checks payable to Tammi Hartung and include your phone number on your check please. Please do not mail cash. Sorry, but credit and debit cards are not accepted. A returned bank check fee of $25.00 will be charged on any returned check. Please include the cost of the book as listed above, plus $6.00 for shipping and handling fee. If you order 2-5 books, please include $10.00 for the total shipping and handling fee. For 6-10 copies of books, please include $16.00 for total shipping and handling fees.